The domain within your query sequence starts at position 312 and ends at position 456; the E-value for the PLCXc domain shown below is 2.29e-96. All catalytic sites are present in this domain. Check the literature (PubMed 98035056 96186808 97477327 ) for details. 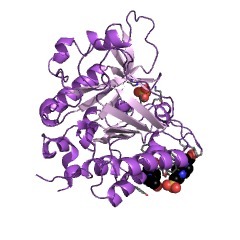 Phosphoinositide-specific phospholipases C. These enzymes contain 2 regions (X and Y) which together form a TIM barrel-like structure containing the active site residues. 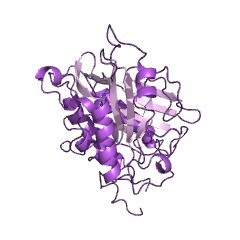 Phospholipase C enzymes (PI-PLC) act as signal transducers that generate two second messengers, inositol-1,4,5-trisphosphate and diacylglycerol. 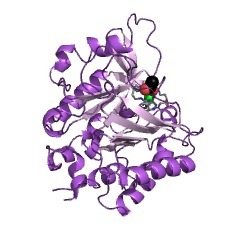 The bacterial enzyme  appears to be a homologue of the mammalian PLCs. Phosphatidylinositol-specific phospholipase C, a eukaryotic intracellular enzyme, plays an important role in signal transduction processes [(PUBMED:1849017)]. It catalyzes the hydrolysis of 1-phosphatidyl-D-myo-inositol-3,4,5-triphosphate into the second messenger molecules diacylglycerol and inositol-1,4,5-triphosphate. 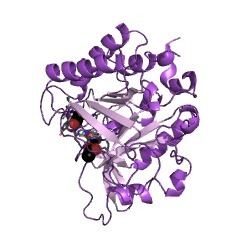 This catalytic process is tightly regulated by reversible phosphorylation and binding of regulatory proteins [(PUBMED:1419362), (PUBMED:1319994), (PUBMED:1335185)]. 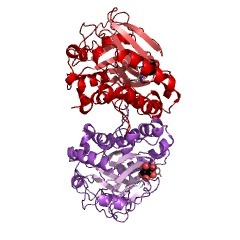 In mammals, there are at least 6 different isoforms of PI-PLC, they differ in their domain structure, their regulation, and their tissue distribution. 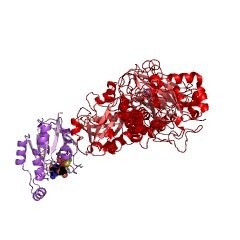 Lower eukaryotes also possess multiple isoforms of PI-PLC. 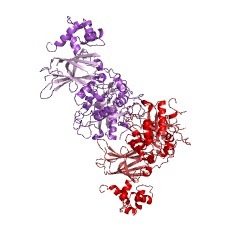 All eukaryotic PI-PLCs contain two regions of homology, sometimes referred to as the 'X-box' and 'Y-box'. The order of these two regions is always the same (NH2-X-Y-COOH), but the spacing is variable. 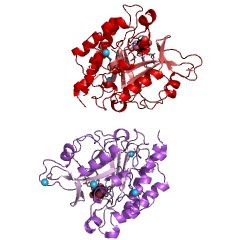 In most isoforms, the distance between these two regions is only 50-100 residues but in the gamma isoforms one PH domain, two SH2 domains, and one SH3 domain are inserted between the two PLC-specific domains. 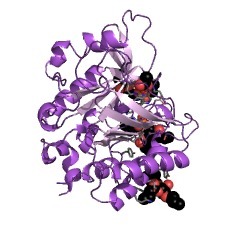 The two conserved regions have been shown to be important for the catalytic activity. By profile analysis, we could show that sequences with significant similarity to the X-box domain occur also in prokaryotic and trypanosome PI-specific phospholipases C. Apart from this region, the prokaryotic enzymes show no similarity to their eukaryotic counterparts. 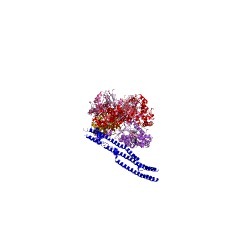 There are 11266 PLCXc domains in 11247 proteins in SMART's nrdb database. Taxonomic distribution of proteins containing PLCXc domain. This tree includes only several representative species. 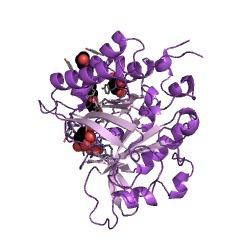 The complete taxonomic breakdown of all proteins with PLCXc domain is also avaliable. 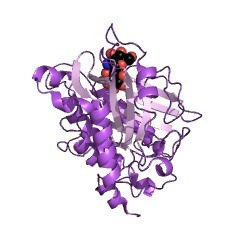 Click on the protein counts, or double click on taxonomic names to display all proteins containing PLCXc domain in the selected taxonomic class. 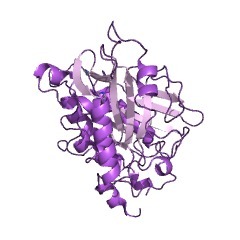 Catalytic domain of phosphoinositide-specific phospholipase C (PLC). Mutational analysis of residues within the active site and hydrophobic ridge of plcdelta1. Structural studies of phospholipase C delta1 (PLCdelta1) in complexes with the inositol-lipid headgroup and calcium identified residues within the catalytic domain that could be involved in substrate recognition, calcium binding, and catalysis. 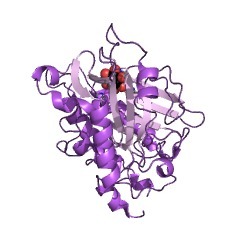 In addition, the structure of the PLCdelta1 catalytic domain revealed a cluster of hydrophobic residues at the rim of the active site opening (hydrophobic ridge). 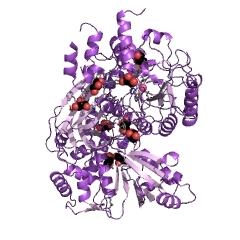 To assess a role of each of these residues, we have expressed, purified, and characterized enzymes with the point mutations of putative active site residues (His311, Asn312, Glu341, Asp343, His356, Glu390, Lys438, Lys440, Ser522, Arg549, and Tyr551) and residues from the hydrophobic ridge (Leu320, Phe360, and Trp555). The replacements of most active site residues by alanine resulted in a great reduction (1,000-200,000-fold) of PLC activity analyzed in an inositol lipid/sodium cholate mixed micelle assay. Measurements of the enzyme activity toward phosphatidylinositol, phosphatidylinositol 4-monophosphate, and phosphatidylinositol 4, 5-bis-phosphate (PIP2) identified Ser522, Lys438, and Arg549 as important for preferential hydrolysis of polyphosphoinositides, whereas replacement of Lys440 selectively affected only hydrolysis of PIP2. When PLC activity was analyzed at different calcium concentrations, substitutions of Asn312, Glu390, Glu341, and Asp343 resulted in a shift toward higher calcium concentrations required for PIP2 hydrolysis, suggesting that all these residues contribute toward Ca2+ binding. Mutational analysis also confirmed the importance of His311 ( approximately 20,000-fold reduction) and His356 ( approximately 6,000-fold reduction) for the catalysis. Mutations within the hydrophobic ridge, which had little effect on PIP2 hydrolysis in the mixed-micelles, resulted in an enzyme that was less dependent on the surface pressure when analyzed in a monolayer. This systematic mutational analysis provides further insights into the structural basis for the substrate specificity, requirement for Ca2+ ion, catalysis, and surface pressure/activity dependence, with general implications for eukaryotic phosphoinositide-specific PLCs. 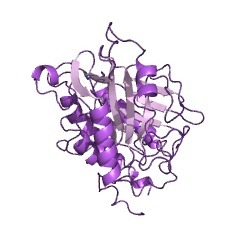 Structural mapping of the catalytic mechanism for a mammalian phosphoinositide-specific phospholipase C.
The crystal structures of various ternary complexes of phosphoinositide-specific phospholipase C-delta 1 from rat with calcium and inositol phosphates have been determined at 2.30-2.95 A resolution. The inositol phosphates used in this study mimic the binding of substrates and the reaction intermediate and include D-myo-inositol-1,4,5-trisphosphate, D-myo-inositol-2,4, 5-trisphosphate. D-myo-inositol-4,5-bisphosphate, and D,1-myo-inositol-2-methylene-1,2-cyclicmonophosphonate. 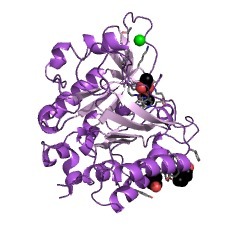 The complexes exhibit an almost invariant mode of binding in the active site, each fitting edge-on into the active site and interacting with both the enzyme and the catalytic calcium at the bottom of the active site. Most of the active site residues do not undergo conformational changes upon binding either calcium or inositol phosphates. The structures are consistent with bidentate liganding of the catalytic calcium to the inositol phosphate intermediate and transition state. The complexes suggest explanations for substrate preference, pH optima, and ratio of cyclic to acyclic reaction products. A reaction mechanism is derived that supports general acid/base catalysis in a sequential mechanism involving a cyclic phosphate intermediate and rules out a parallel mechanism where acyclic and cyclic products are simultaneously generated. Regulation of phosphoinositide-specific phospholipase C isozymes. Regulation of eukaryotic phosphatidylinositol-specific phospholipase C and phospholipase D.
This review focuses on two phospholipase activities involved in eukaryotic signal transduction. 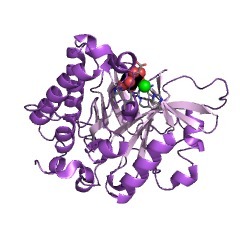 The action of the phosphatidylinositol-specific phospholipase C enzymes produces two well-characterized second messengers, inositol 1,4,5-trisphosphate and diacylglycerol. This discussion emphasizes recent advances in elucidation of the mechanisms of regulation and catalysis of the various isoforms of these enzymes. 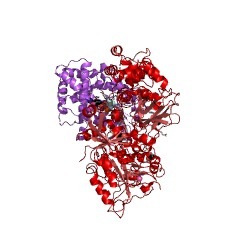 These are especially related to structural information now available for a phospholipase C delta isozyme. Phospholipase D hydrolyzes phospholipids to produce phosphatidic acid and the respective head group. A perspective of selected past studies is related to emerging molecular characterization of purified and cloned phospholipases D. Evidence for various stimulatory agents (two small G protein families, protein kinase C, and phosphoinositides) suggests complex regulatory mechanisms, and some studies suggest a role for this enzyme activity in intracellular membrane traffic. 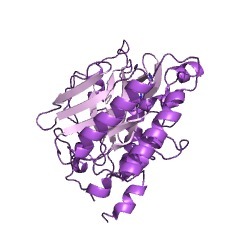 Crystal structure of a mammalian phosphoinositide-specific phospholipase C delta. Mammalian phosphoinositide-specific phospholipase C enzymes (PI-PLC) act as signal transducers that generate two second messengers, inositol-1,4,5-trisphosphate and diacylglycerol. 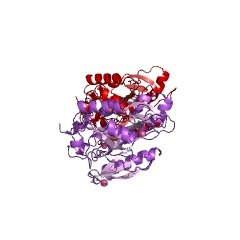 The 2.4-A structure of phospholipase C delta 1 reveals a multidomain protein incorporating modules shared by many signalling proteins. The structure suggests a mechanism for membrane attachment and Ca2+-dependent hydrolysis of second-messenger precursors. 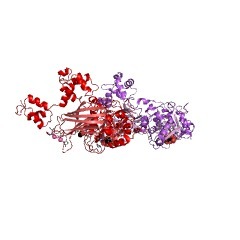 The regulation and reversible membrane association of PI-PLC may serve as a model for understanding other multidomain enzymes involved in phospholipid signalling. Structural views of phosphoinositide-specific phospholipase C: signalling the way ahead. Recent structural studies of mammalian phosphoinositide-specific phospholipase C (PI-PLC) have begun to shed light on the mechanism whereby this family of effector enzymes is able to hydrolyze phospholipid substrates to yield second messengers. 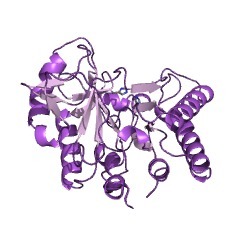 PI-PLC isozymes employ a variety of modules (PH domain, EF-hand domain, SH2 domain, SH3 domain and C2 domain) that are common in proteins involved in signal transduction to reversibly interact with membranes and protein components of the signalling pathways. 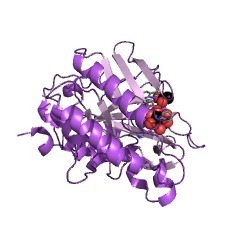 Crystal structure of the phosphatidylinositol-specific phospholipase C from Bacillus cereus in complex with myo-inositol. 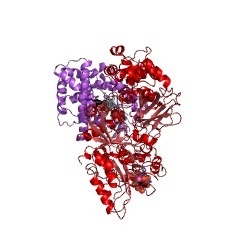 Phosphatidylinositol (PI), once regarded as an obscure component of membranes, is now recognized as an important reservoir of second messenger precursors and as an anchor for membrane enzymes. PI-specific phospholipase C (PI-PLC) is the enzyme that cleaves PI, invoking numerous cellular responses. 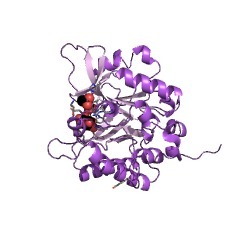 The crystal structure of PI-PLC from Bacillus cereus (EC 3.1.4.10) has been solved at 2.6 A resolution and refined to a crystallographic R factor of 18.7%. 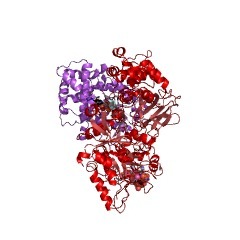 The structure consists of an imperfect (beta alpha)8-barrel similar to that first observed for triose phosphate isomerase and does not resemble any other known phospholipase structure. 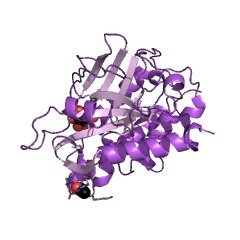 The active site of the enzyme has been identified by determining the structure of PI-PLC in complex with its inhibitor, myo-inositol, at 2.6 A resolution (R factor = 19.5%). 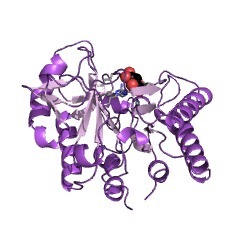 This substrate-like inhibitor interacts with a number of residues highly conserved among prokaryotic PI-PLCs. 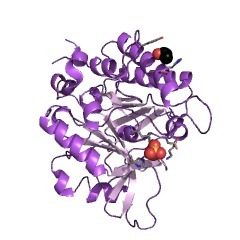 Residues His32 and His82, which are also conserved between prokaryotic and eukaryotic PI-PLCs, most likely act as general base and acid respectively in a catalytic mechanism analogous to that observed for ribonucleases. 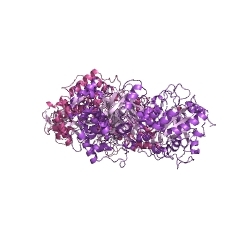 Studies of inositol phospholipid-specific phospholipase C.
Inositol phospholipid-specific phospholipase C is the enzyme that generates phosphoinositide-derived messenger molecules. 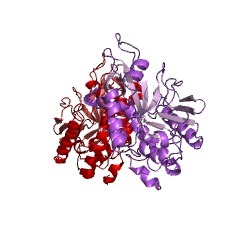 Mammalian cells contain at least five immunologically distinct phospholipase C enzymes that appear to be separate gene products. Complete amino acid sequences of four of these isozymes have been established. The overall sequence similarity is surprisingly low for enzymes catalyzing the same chemical reaction: three of them show limited amino acid sequence similarity to each other in two narrow regions, and the fourth enzyme is completely different. 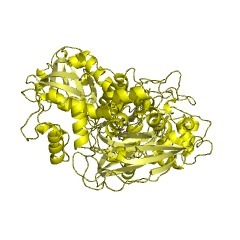 The diversity in primary structure together with different regional and cellular expression of the isozymes suggests that each isozyme has a defined function in processing the physiological response of different cell types to a variety of external stimuli and that each is regulated differently. This information is based on mapping of SMART genomic protein database to KEGG orthologous groups. Percentage points are related to the number of proteins with PLCXc domain which could be assigned to a KEGG orthologous group, and not all proteins containing PLCXc domain. Please note that proteins can be included in multiple pathways, ie. the numbers above will not always add up to 100%. 1t6m X-ray Structure of the R70D PI-PLC enzyme: Insight into the role of calcium and surrounding amino acids on active site geometry and catalysis. 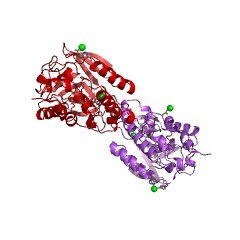 4f2t Modulation of S.aureus Phosphatidylinositol-Specific Phospholipase C Membrane Binding.